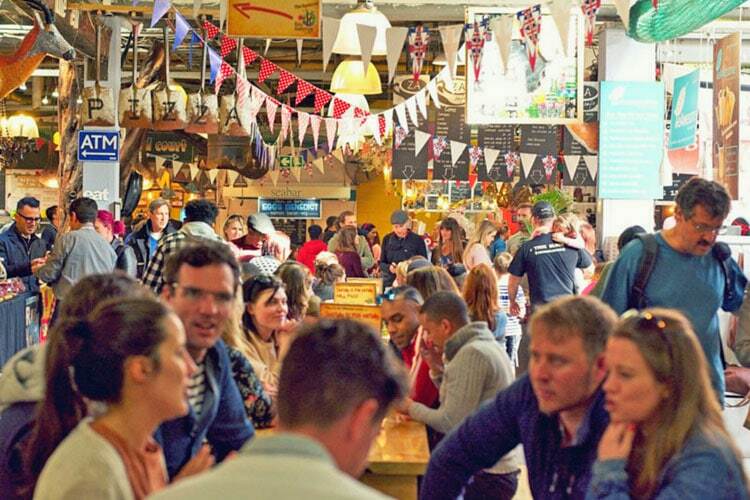 Located at the edge of the sea overlooking Chapman’s Peak at the foot of the famous Hangberg Mountain; this once-abandoned factory is now the legendary Bay Harbour Market, home to over 100 entrepreneurial traders, who attract over 24,000 visitors a month locally and from across the globe. 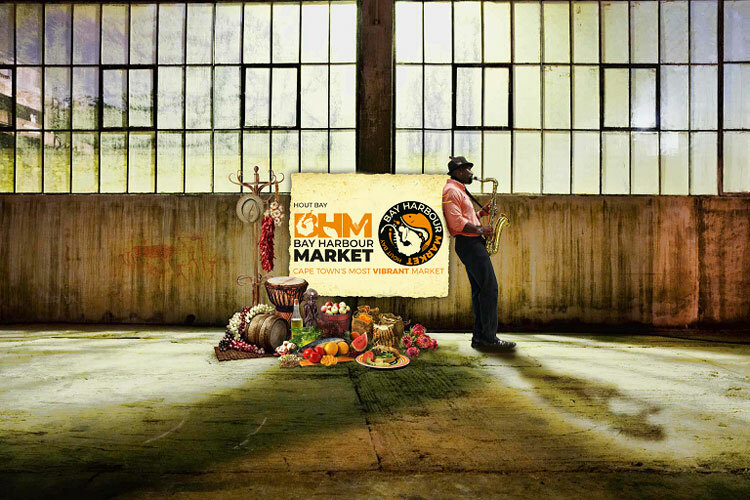 An inspiring destination for breakfast, lunch and dinner, this weekend market kicks off with Friday Nite LIVE!, offering live music, at least 26 culinary experts catering to everything from Tunisian cuisine, Seafood platters, Oven-fired Pizza to gourmet Sandwiches, speciality soups and everything in-between. 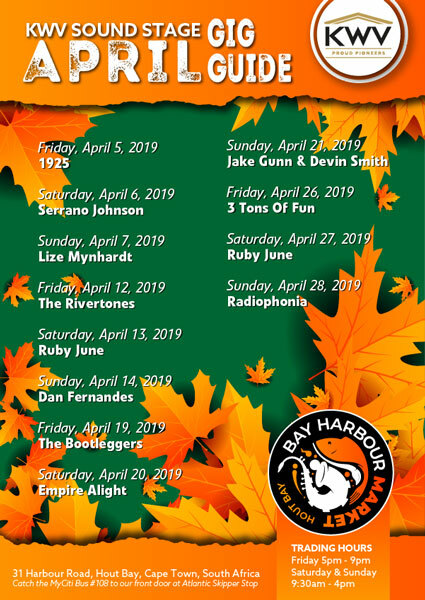 The Saturday and Sunday market is open from 9.30 am to 4 pm and is alive with interesting people of all ages and cultures, shopping, tasting, eating, drinking and laughing, while listening to the live music on the Bay Harbour Sound Stage. The strict criteria for the trader selection at this market ensures that some of the most innovative and creative traders can be found here, offering vintage clothing, natural fabric linens, antique collectibles, funky fashion and leather goods to suit all tastes and more! You won’t be disappointed. The ethos of the market comes to life through Viola, Queen of the Bay, a large mobile Pig artwork who moves around the market collecting “change for change” to support the local community. Bay Harbour Market is serious about recycling and works hand in hand with traders and local NGOs to raise consciousness on sustainable living. Viva Republica! 31 Harbour Road, HOUT BAY, Cape Town. 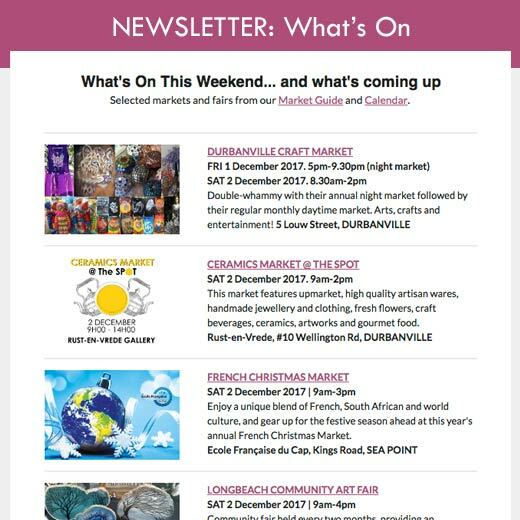 Click here to SUBSCRIBE to the Bay Harbour Market newsletter.